Image: John Stillwell - WPA Pool/Getty Images. 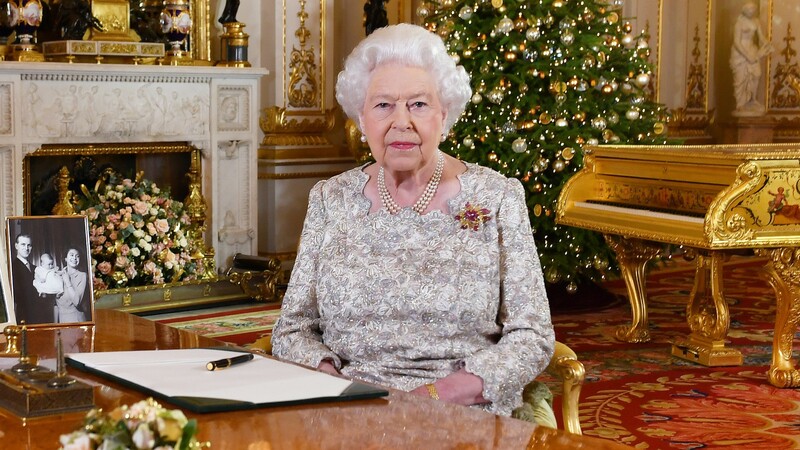 Every Christmas since 1952, Queen Elizabeth II has followed in her father’s footsteps and recorded an annual message for the people of Britain. This year’s annual Christmas message from Queen Elizabeth, produced by Sky News, will air on the holiday itself, though a preview was released over the weekend that gave some hint of what the queen will talk about. According to People, the Christmas message preview shows the queen in the White Drawing Room at Buckingham Palace, which is decorated beautifully for Christmas. The queen herself was surrounded by familial tokens that serve to emphasize the topics of her message. This year in particular, the queen has seen her family grow in exciting new ways. Her grandson, Prince William, Duke of Cambridge, welcomed a new baby with his wife, Catherine, Duchess of Cambridge (more commonly known as Kate Middleton) in April; her other grandson, Prince Harry, Duke of Sussex, married Meghan (née Markle), Duchess of Sussex, in May, and the two are expecting their first child in the spring; her granddaughter, Zara Tindall welcomed a daughter with her husband, Mike Tindall in June; and finally, her granddaughter, Princess Eugenie, married Jack Brooksbank in October. Amid these exciting new changes, it makes sense that Queen Elizabeth would emphasize the importance of family in her Christmas message. As noted by People, the brooch she wore in her address was a 1966 gift from her husband, Prince Philip, and the framed black-and-white photograph on the table shows herself, Philip and their then-infant son, Prince Charles, in 1948. Queen Elizabeth’s full Christmas message will be broadcast on TV and via Twitter @RoyalFamily and @TwitterUK on Dec. 25 at 3 p.m. GMT (10 a.m. EST/9 a.m. CMT).